It’s been a year since we launched our online course! 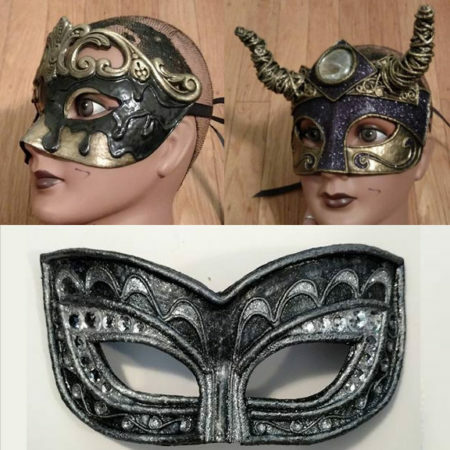 It is now humming along with cool people from all over the world (7 countries so far) creating a variety of beautiful costumes and other things, from the demo project of armbands, to antlers, even car visors and corsets. If you have been thinking about joining the course, look for the 25% off coupon in this week’s newsletter (going out Thursday, subscribe in the footer). Here are a few student pieces I want to show off. I’m really happy that people are finding this art form so inspiring to their own creativity. You can see more in the student work galleries here. 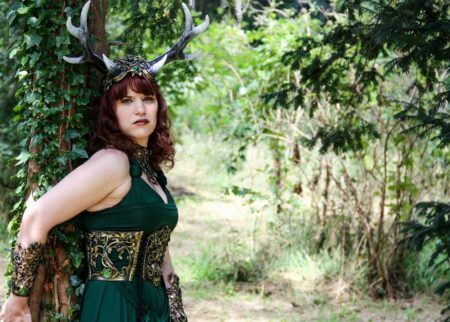 Marjolein made this beautiful elven set: a double horned headdress, collar, belt and bracers. Merry Maguire made these and several other masks for an indie film production called Desire’s Masquerade. She was able to make them quickly and with a lot of variety which was what the production needed. Hannah Dare Walker is a photographer who designs most of her costumes for the camera. She has gone the furthest of any student so far in scale and output. I will be sharing an interview with her in the blog next month, letting you into this busy woman’s creative process. 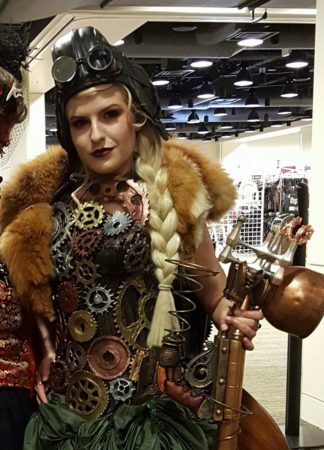 Here she is in her steampunk costume at Seattle Steamposium. The corset was made using the Organic Armor Arts. She won the “Best character adaptation award” there. Join us and see what awesome (and comfortable) stuff you can make! Learn more about the course here.